A Cardiff native who has toured and collaborated with Gruff Rhys of Super Furry Animals, Le Bon emphasizes the physical in both her lyrics and her music. Her voice is beautifully off-kilter and off-key, with a thick phrasing that has rightfully earned her comparisons to Nico. Her songs have the single-mindedness of the Ramones, the melodic exuberance of Os Mutantes and the avant garde sensibility of Chicks on Speed. And yet, like all good artists, she manages to turn these referents into something that’s maybe not groundbreaking, but charmingly idiosyncratic. Because Le Bon appreciates the juxtaposition of instruments, CYRK sounds elemental—lushly minimal. Despite the invigorating jolt of “Falcon Eyed,” which will surely get scooped up for a car commercial or sports ad this year, the album sounds best when it slows down a bit and takes its time. “Puts Me to Work,” the midtempo first single, sets Le Bon’s skewed vocals against a rickety piano to bolster one of her finest hooks, while “Greta” almost unstitches itself in a tangle of piano patter, wordless vocals and a trumpet that sounds like it’s coming from somewhere else in the building. 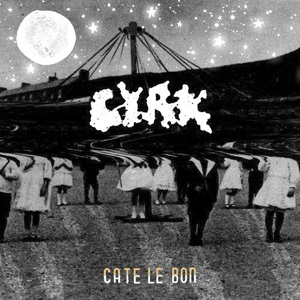 As it progresses, CYRK loses some of its musical and descriptive vitality, but Le Bon lingers over these physical depictions, lending her songs a beguiling tactility as well as a strong gravity. “Greta” depicts a character with eyes “the size of lagoons, all dreamy and wild.” It’s a vivid portrait, and it’s all you need to envision Greta herself. But the phrase “all dreamy and wild” would certainly apply to Le Bon’s music as well, which is boisterously exuberant, eccentric yet completely approachable.